Growing up in the Danforth East, Piera Armata has seen a lot of change, but the ideological heart of the vibrant community built by European immigrants remains. 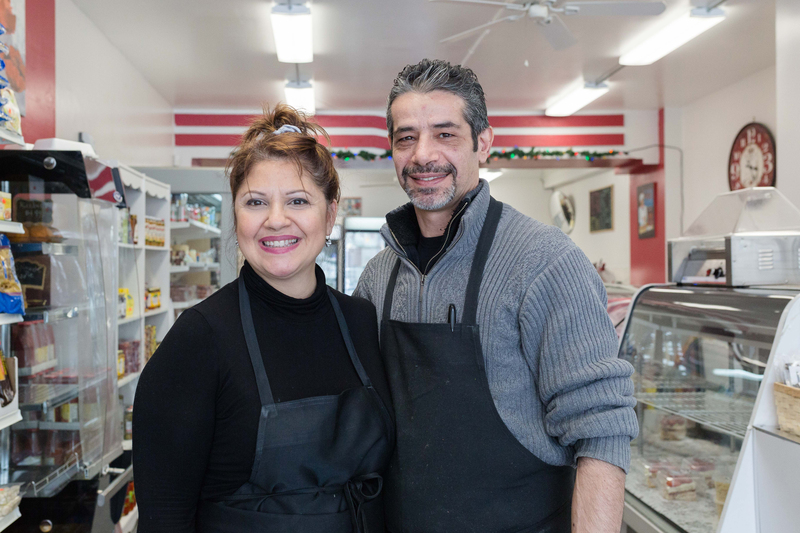 It’s that predilection towards the local that has helped buoy Steve’s Quality Meats and Deli, the butcher and takeaway business Armata co-founded with her husband Steve Miome just west of Woodbine on the Danforth two and a half years ago. When Armata, who’s 50, was growing up, the neighbourhood was riddled with shops like Steve’s catering to the European habit of shopping fresh daily. “We try to bring a little bit of that (back) into the community,” she says. It’s a feeling Miome also grew up in as a young butcher’s apprentice in New York from the time he was thirteen years old onwards. Seven years ago, a master of his craft, Miome moved north after marrying Armata. The shop followed soon after. Expertise aside, Armata and Miome wanted their brand to stick out and felt it was time to broaden their digital footprint. One of their customers, another business owner from the Danforth Mosaic BIA, connected them with a digital marketing specialist at Digital Main Street. After a bit of back-and-forth, they’d hashed out a plan and begun working on their brand presence. “They were so patient with me, I set aside an hour and a half a week with them,” says Armata. The goal was to update the website and build a Facebook page for the business, helping them connect with the community and grow their reach. Digital Main Street found a website that would fit within their budget. Armata hadn’t spent too much time toying with social media prior to connecting with Digital Main Street but the results of the re-vamp surprised her. “I didn't think it would take off the way it really did,” she says. Clients started to tap into services they’d been offering like free home delivery (which Armata says helps offset the lack of parking in the area) and placing orders for catering. Customers also seem to have a better idea of what they want when they call to place orders, an education Armata credits the website with providing.